Add a whole new dimension to your store navigation: help visitors find products by the brands they love, and empower brand managers to create fully-custom brand pages. 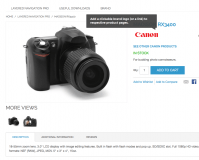 Let shoppers browse your Magento store by popular brands. 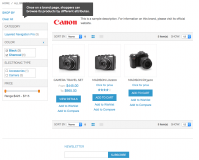 Create SEO-friendly pages for each brand in your store. Allow customers to limit their search to particular brands, while also selecting parameters such as the size, the price, etc. 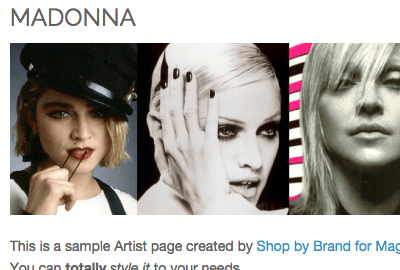 Shop By Brand Extension For Magento 2 is coming soon! Advanced brand management capabilities of the extension help store owners sell their products more effectively. When customized with unique brand attributes, the landing page powers a strong brand perception among customers, which enhances their trust and so purchase-decision making, especially when talking about well-recognized brands. Among many navigation’s best practices, convenient search is one of the cornerstones affecting the user experience on the site. Retailers that implement a fast search by multiple parameters, including brand, address customers’ UX expectations and make it easy for customers to find the manufacturer they want. The faster customers find the product they are looking for, the faster they will get to the checkout. By facilitating the search process on your website, you improve the overall customer’s journey on your site, which results in their satisfaction and loyalty and so benefits your sales. . 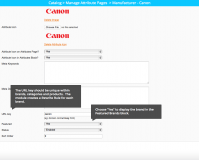 Create a custom page with all the brands in your store. 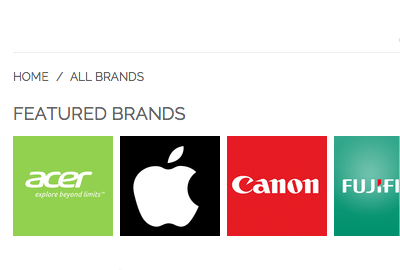 Showcase Featured Brands on the Brands page. Limit the number of brands in the sidebar. Choose to display only the brands in stock. 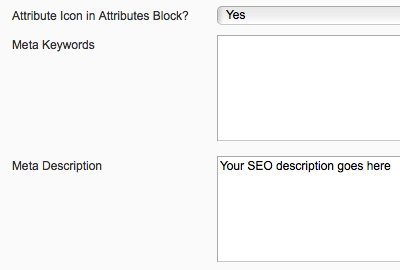 Configure Sidebar Block and “All Brands” page to your needs. Apply a brand name to any number of dropdown attributes at once. Enable filtering by brand, while also showing categories in the sidebar. 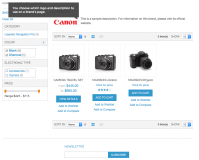 Create different lists of Brands for each store view and/or website. 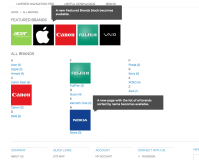 Choose to display categories as a tree on brand pages. Compatible with Layered Navigation Pro. Compatible with default layered navigation in Magento. 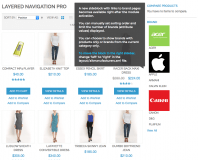 Layered Navigation extension for Magento - Let visitors search and view multiple products at the same with no slowdown. * Fixed an issue with images not being properly inserted in a wysiwyg. 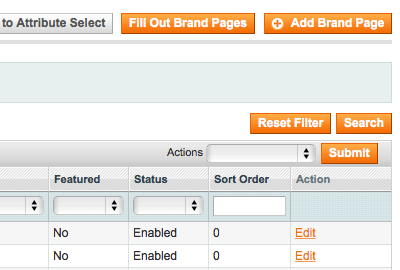 * Fixed an issue with loading All Brands page when qty of attribute values < qty of columns. + Added re-index for URL rewrites. 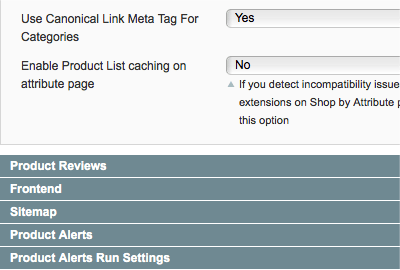 * Fixed the 404 error when saving an attribute with "shop by" functionality when admin panel has a custom URL . 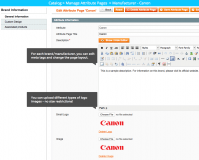 * Fixed an error on category and brand pages with flat catalog enabled. * Compatibility fix with Magento patch SUPEE-6285 for sub-admin with restricted resources. 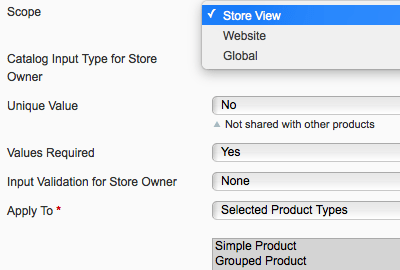 + Multi-select attributes can now be used for shop by functionality. * Fixed the issue with the front controller reached 100 router match iterations upon changing store view on 404 page. * Compatibility fix with Ultimo theme. * Fixed the issue with applying Number of Columns setting to attribute values starting with the same letter. * Fixed the issue with sort order of associated products. 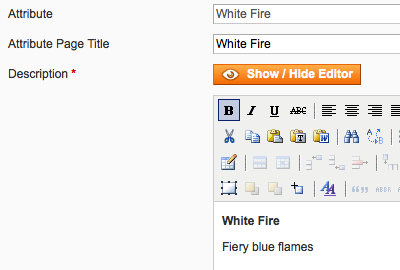 + Allows for displaying brands only from the current category in the sidebar block. Great extension. After installation extension not directly works with our theme. But developers has helped us quickly and now it fully works. This is my 3rd extensions from aitoc. Support is amazing as always. They fixed a minor conflict with my theme within a day! Module works like a charm now. This extension shows all brand from your store. 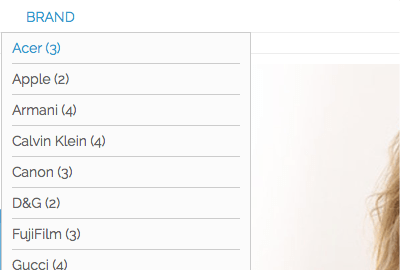 You can filter brands by categories. You can even add logo and stuff on each brand. You can Include the brand and its values into the top navigation menu. Installation is easy + Great support! 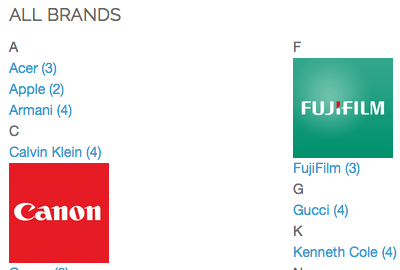 This extension helps to give an overview of different brands. It helps the webshop managers, but this is certainly a powerful tool for the customers. Works like a charm. Support is very quick and very good. Highly recommended. This extension really save my time for sorting out brand management. Great module,worked perfect for me. Great extension. Fast and easy to use. Works as described. If some customer want to see all the catalog from a specific brand they with just a one click can do it, this was helpful to increase our sales. The use or experience on the administration panel is easy, just need read the manual and all is there. In conclusion, a great tools to make to the customers easier buy in our magento store. Excellent extension. Performs exactly as described and support response is fast and helpful. Works exactly as described. Easy to implement and to configure. Just what we needed now customers can shop by brand name on our site too. |We have had a few issues with the brands button not showing in the navigation bar but the support is sorting this with an hour of support time paid for. This was due to our theme having a unique and complicated navigation layout. The extension works great for my store. My customers can now easily browse product by brands. This helped to increase my sales. Support was very helpful and fast. I was looking for a solution to sort by brand like Zappos.com, as I'm a drop shipper, and this worked out perfectly. 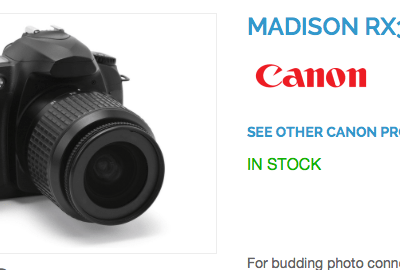 In addition to the standard features, I customized my product page to display the brand description, brand name, and also related product by brand using a related extension. I love this extension :) Great installation support and updates as well! The addon and technical support is superb!!! I fully recommend the extension and work of AITOC. 5 stars! Many thanks! I am very satiesfied. This exension works as supposed. No bugs nor difficulties setting it up. The license could have unlimited products attached to the license. Can be expensive if you have a lot of products in your shop. Great extension, easily to use and fast customer response. Great extension and an amazing customer service! Thanks guys! Powerful Extension. Improve customer navigation and Seo. Aitoc has a great customer service, quick response and very professional. Thanks. We are very happy with the results and implementation. They give good response on all their work. The extension will help build up more sales and branding to our products. 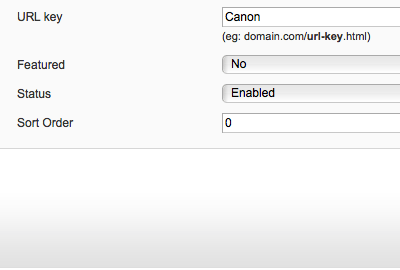 Best experience ever with a bought Magento Extension. I bought the extension because I have been using it at other shops and realized what a great extensions this is. Great and FAST customersupport. I wrote them an email and had their reply 9 minutes later. What more could you be asking for?! I wouldn't be changing it for any other "shop by brand"-copy-extension. If you are serious with your webshop - use ShopByBrands extension from AITOC. Best customerservice ever. Absolutely great extension. A must-have for the serious ecommerce person! This is a very well thought out module and it's just what we needed. I had one issue and I contacted support and they fixed it completely. My experience with the extension is good, we have installed it in our new project. The support is spectacular, they connected to our server and modified our extension to meet our needs. The only negative thing is the price structure, very high price in some situations. Excellent company, professional work, and clear instructions. I absolutely LOVED this extension......until I tried to upgrade and realized they changed their pricing model. For a decent sized store, a handful of extensions quickly becomes extremely expensive. I can't understand the price jump from $69 for 100 products to $699 for over 10k? That's crazy since the extension doesn't interface with their server or require ongoing resources from them!?!? Don't get me wrong, AITOC extensions are awesome, but I find it hard to swallow the enormous price change for future projects. Shop by Brands is one of several modules that we have used on a new Magento web site, and they are all excellent additions that offer much needed functionality. Additionally, AITOC has supplied excellent support. The only issues we ran into were caused by our lack of knowledge about Magento and its configuration, yet the AITOC support has been most gracious in finding and educating us about configuration issues that needed to be corrected. Thank you AITOC for making our new Magento site shine! Easy to setup, easy to customize & it works great! Very good extension ! 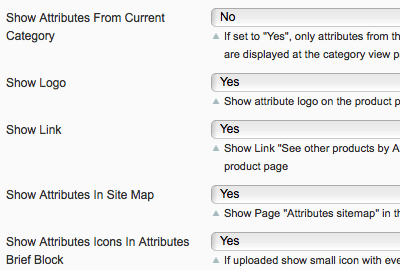 I put only 4 stars because it would be nice if brand pages will be added in the sitemap. Easy to install and very professional extension. 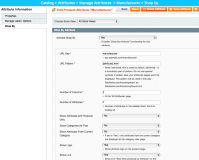 AITOC extensions make Magento even better! The AITOC Show by Brands Extension allows my customers to connect with the products they're looking for in a way that's efficient and intuitive. Great company to do business with. I purchased several modules during the middle of the night. I did not completely understand how to install them so I sent a tech ticket, expecting a reply in a couple of days, and to my surprise, within 5 minutes I received a tech reply with the offer for them to install the modules for me. Not only do they have great products but amazing service. I will hands down direct any friends or businesses to them. Excellent company - responsive and clean programmed modules which are fully compatible to Magento.